The 2018 Barry Taylor and David Lewis Philosophy Lecture. The meta-problem of consciousness is the problem of explaining why we think that there is a hard problem of consciousness. The hard problem is the problem of explaining how physical systems give rise to subjective experience. The hard problem typically contrasts with the easy problems of explaining behavior. There is one behavior with an especially close tie to the hard problem: we make verbal reports such as 'consciousness is puzzling' and 'there is a hard problem of consciousness'. The meta-problem of consciousness is the problem of explaining these reports. The meta-problem is, strictly speaking, one of the easy problems, and solving it is a tractable empirical project for cognitive scientists. At the same time, a solution will almost certainly have consequences for the hard problem of consciousness. 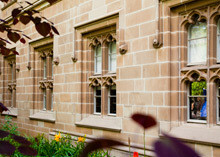 In this talk Professor Chalmers will lay out the meta-problem research program, he will examine potential solutions, and he will investigate the philosophical consequences. The Barry Taylor and David Lewis Philosophy Lecture is an annual lecture held in honour of the late Barry Taylor and David Lewis. 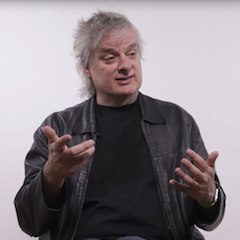 **David Chalmers** is University Professor of Philosophy and Neural Science and codirector of the Center for Mind, Brain, and Consciousness at New York University. He is wellknown for his work on consciousness and on many other issues in philosophy and cognitive science. His books include *The Conscious Mind: In Search of a Fundamental Theory* (1996), *The Character of Consciousness* (2010), and *Constructing the World* (2012). Chalmers cofounded the Association for the Scientific Study of Consciousness and is codirector of the PhilPapers Foundation. He is currently writing a book about philosophical issues arising from virtual reality.